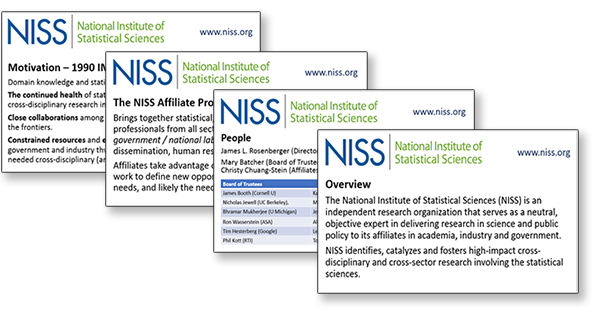 Use these NISS Slides in Your Next Presentation! Here is a link to a powerpoint presentation that contains 4 slides with information about NISS. Consider adding these to your next presentation!